Based on Linux and other open source tools, Firefox OS is a Mozilla alternative to Chrome OS or Android, or Tizen. In fact it make use of the Gecko rendering engine that has all the interface elements needed to run an application online or locally. Applications of this system are made in HTML 5 and no longer use XUL. Mozilla intends it more toward mobile devices, tablets and smartphones. The question that arises is: Does it help to make these devices a compact alternative to conventional desktop computers, for the ordinary user (not the gamer)? The idea at the base of Firefox OS is the same as that which inspired the creation of Google's ChromeOS: go from local applications, specific to a system, and we need to install on the computer, to web applications, independent of the system because operating in the browser and based on Web standards. Although Firefox OS provides an alternative to Chrome OS, it is not necessarily a competitor to Google, which finances the Mozilla Foundation, at least until 2014: while the search engine is installed by default on the system, it is rather a complement to Google. Firefox OS is a kind of operating system, a pair made of Linux with a set of APIs to form an interface between hardware, peripherals and applications. Linux is used to start the system which then relies entirely on the browser. According to the FAQ, it shares 95% of its code with Firefox. Unlike Webian (again according to the FAQ) which is an desktop designed for the Web, Firefox OS Web applications will provide the same functions as local applications (especially full access to the file system). Gecko is the essential part of the system, as the name implies: it plays a role similar to that of WinRT for Metro and provides the API to display the interface of the applications. Which, according to the proposed concepts screens, is that of a mobile system. Firefox OS supports the new WebRTC and WebAPI protocols and furthermore, even if provided with a version of Firefox, it is possible to install a Webkit browser (the name Boot to Gecko will probably be changed). This is an open and easy to customize system. While it is possible to upload applications on the addons.mozilla.org site, Mozilla wants a more open model for its applications: they can be downloaded directly from the publisher's site. This is the opposite approach from that of Microsoft, moving from a decentralized model to an app store for Metro, which allows collecting 30% on the sales! Firefox OS has apparently many competitors. To cite only systems based on Linux, there are Tizen, webOS, ChromeOS and Android, and more. Each of them has a highly developed framework, while Firefox OS is still being defined. 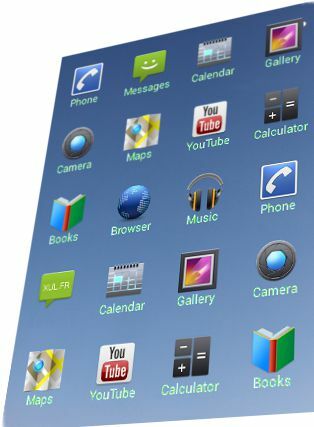 Android has hundreds of thousands of applications. To be convincing, therefore, Firefox OS must offer something more. To answer the original question, Firefox OS allows it tablets to replace desktops, yes, it's clearly its goal, to do that it offers to Web applications file functions, Bluetooth communication with devices and so ones. 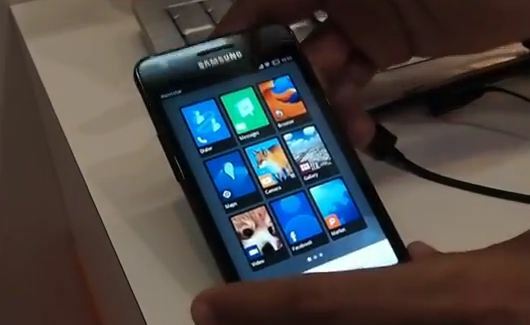 Mozilla has announced that Firefox OS smartphones would be available in June 2013 in Spain, Portugal, Poland, Brazil and Venezuela. This choice is dictated by the operators which offers a device coupled with a subscription. Nothing in USA before 2014. For other countries, it is still possible to install the system on an Android smartphone when the old OS can not be updated. Mozilla confirmed that it abandons the Firefox OS project. Although multiple devices with this system have been sold, including from Alcatel, success did not came at the rendezvous. The market for low-end mobile is largely won by the Android system. FirefoxOS could be used for Internet of things.